Cork grease tube for woodwind instruments (e.g., saxophone, and clarinet). 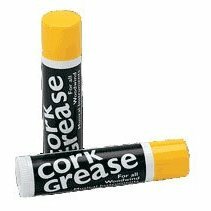 High quality cork grease for your reed instruments. We purchase a variety of cork grease tubes, depending on what we have in stock is what we will ship. Call for details.